Paradise Lua, Inc. - "Portable Sanitation at its Finest"
which we have nicknamed our P.E.R.T. Or optional city water hookup and regulator city sewer hookup. 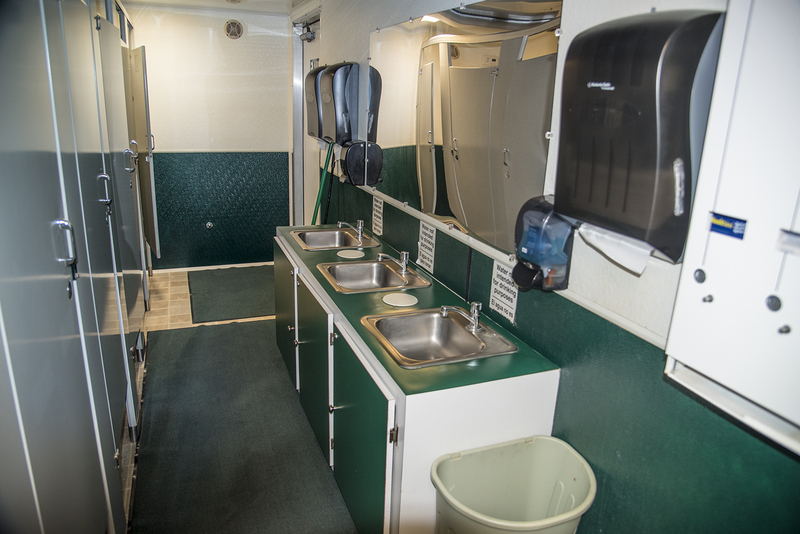 The restroom trailer will accommodate 420 men and 210 women per hour. This will create a maximum of 60 gallons of waste per hour thus operating over 25 hours without need of service. 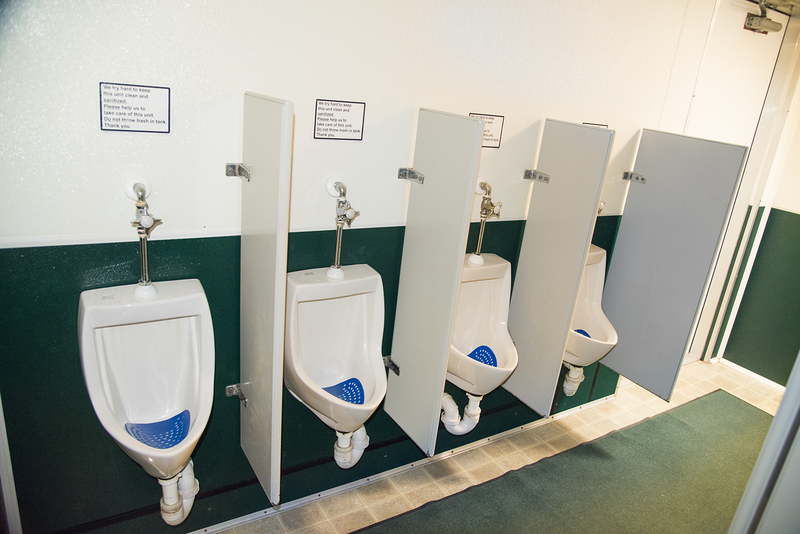 Each Restroom Trailer will accommodate a group of 2,500 for eight hours. 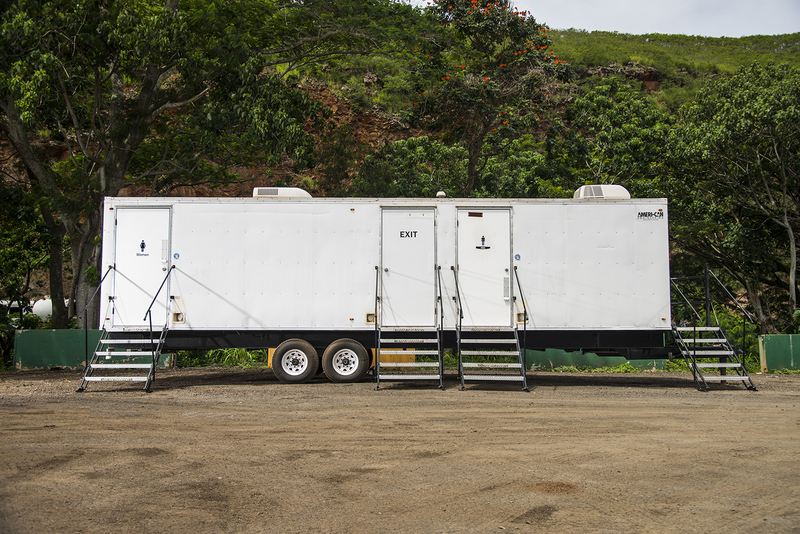 Please Note: With the rental of our Portable Restroom Trailers, we provide our customers with Service Attendants to ensure that the rental unit remains fully stocked of toilet paper, paper towels. They are also responsible to insure that they are well maintained and kept clean, trash cans emptied, and guests are provided any attention required. Upon the event’s completion the service attendants will secure the rental and prepare it for pick-up. Paradise Lua Theme © 2019.